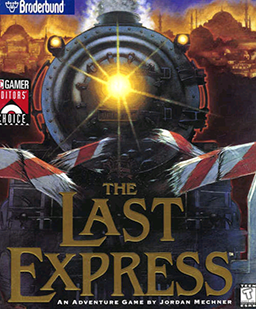 The Last Express is an adventure game set on the Orient Express just before World War I. The player-character is Robert Cath, an American doctor who is escaping the French police because he is suspected of murdering an Irish police officer. It is a non-linear game (i.e., the player’s actions affect the course of the story), and has 30 non-player characters. There are 30 endings in which Cath is killed and only four in which he isn’t (though only one of these is considered the true ending).